It's not just for Hot Dogs! You don't judge a book by its cover so don't judge a restaurant by its exterior, or even its interior. We were hungry and not interested in having to track down breakfast, so we asked at the front desk of our hotel if there was any breakfast within walking distance. The desk clerk said there wasn't much in the way of breakfast, but that The Wienery did serve breakfast. We had walked by it the night before and hadn't given it much thought. Now it seemed like our only option if we had any hope of getting breakfast before lunch time. Here's a look at the inside. It is simply laid out, bordering on worn out. But don't judge it before you sit down and enjoy a unique breakfast experience. 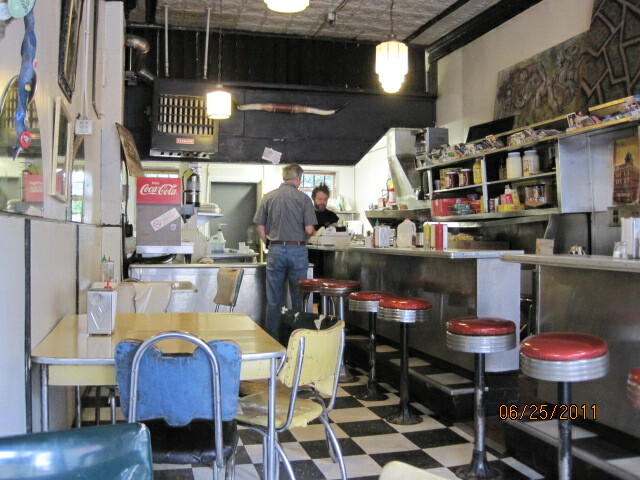 The Wienery has changed hands several times since it opened in the early 1980s, and is now owned by Pat Starr. The Wienery was voted the city's best hot dog for 3 consecutive years. This morning, however, we wanted breakfast and we wanted it fast (at least I did). We studied the menu for something that would be filling and on the table quickly. We chose the #6 Wienie MacMuffin, an egg and cheese sandwich on an English Muffin with your choice of meat. Of course I chose bacon! Now all these items are prepared fresh to order while you wait. It is pretty much a one-man show, and he had to make a quick trip to his car across the street for the groceries. Was it good? You bet. It was like walking into a friend's house and having them whip up breakfast for you right on the spot. And...he has been featured on Diners, Drive-ins and Dives. 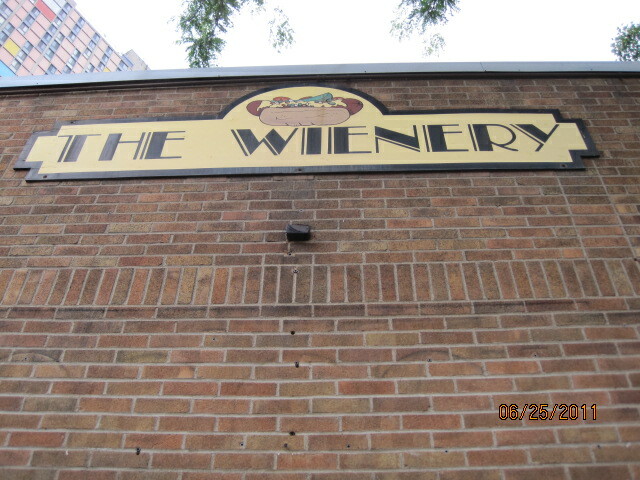 This place gets two thumbs up from me, so if you find yourself in the Minneapolis area, I highly recommend checking out The Wienery. Click here if you can't see the video. What a cool find! There are so many little gems that are sort of hole in the wall places. I'm glad you gave it a try! Sometimes the "nondescript" little holes-in-the-walls are the best! Glad this was the case for you. Linda- It was quite a surprise, but I figured when the clerk said he'd been on that show, there had to be something to it. Nicky- Indeed they are, and even better when you just stumble upon them.